Task Scheduler software are primarily responsible for the proper working of your start up files and help control startup and shutdowns, permissions granted to different programs etc. There are several advanced free wares available in the market which not only work better than the in-built windows task manager but also give you access to a wide range of functionality by setting up random scans, reminders, alarms etc. 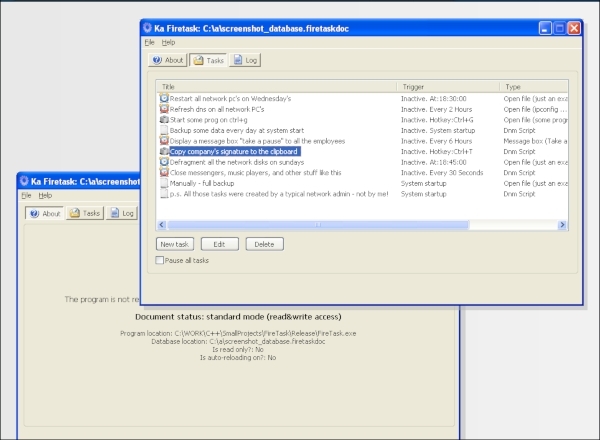 The Freebyte Task Scheduler is a very effective free software for Task Scheduling. Not only is it easy to use but it also comes with a number of interesting features. It is a zero-install program and lets you initialize other programs automatically or at pre-defined times. It has very user friendly interface in spite of the additional features it provides. Apart from scheduling it provides users with important features like disk fragmentation, virus scanners etc. 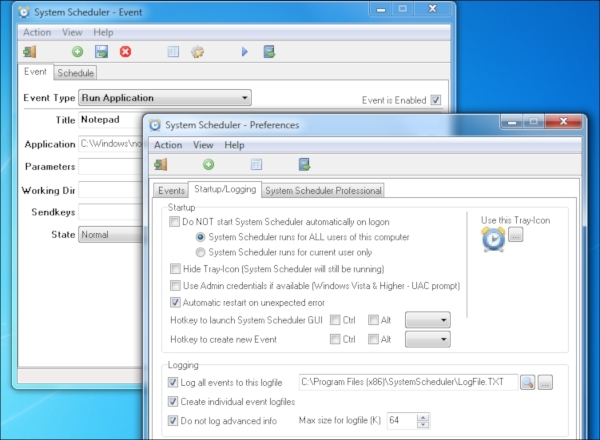 In terms of ease of use and speed, System Scheduler is one of the best scheduling freeware available in the market. 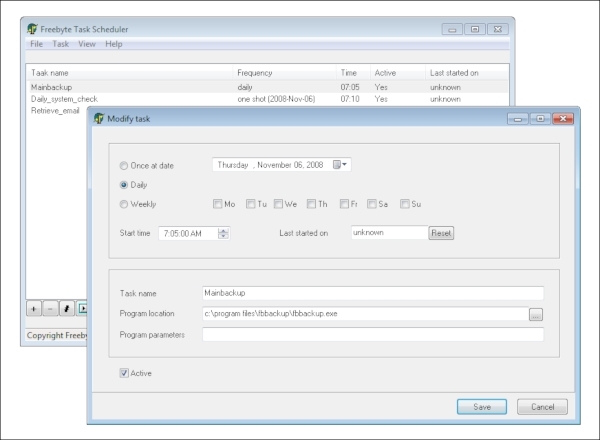 Unlike other schedulers System Scheduler will not just launch programs at scheduled times but will also communicate with those programs via keypresses and mouseclicks enabling you turn off programs unattended. It can schedule pop-up reminder so that you don’t miss out on anything important. The Window Watcher program is effective in closing redundant windows when you are away from the system. 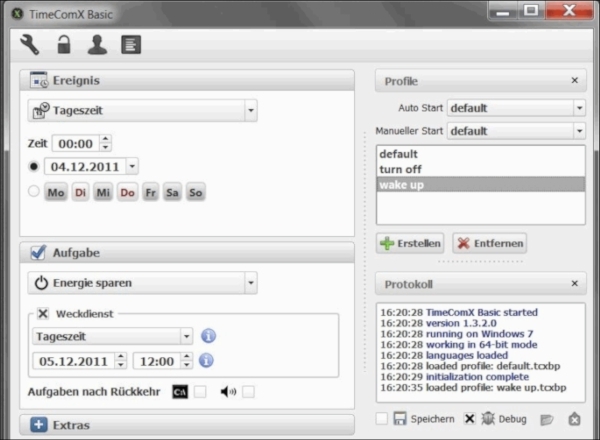 In terms of functionality, Firetask is one of the best scheduling software available. While it has some compatibility issues with 64 bit OS it is still a very good Scheduling tool. Not only can it schedule tasks but it can also move, copy and delete specified files and folders. It constantly monitors the system and shuts down unwanted windows as soon as they appear. It also comes with a host of other features,- pop-up menus, message boxes, Hotkeys and can also alter clipboard contents. 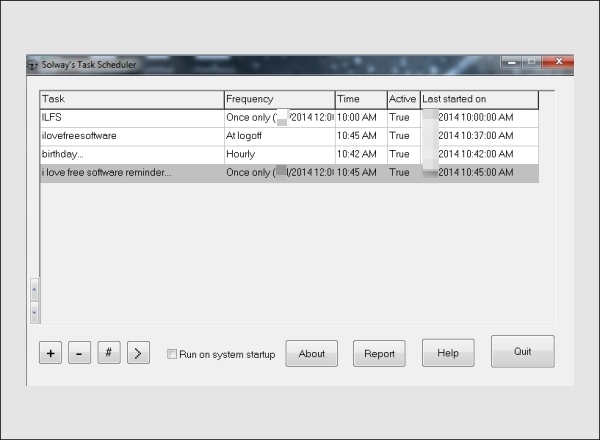 Task Till Dawn is an extremely smart freeware scheduler. It doesn’t just provide extra features but it provides ways of smart scheduling. An interesting feature would be that tasks can be scheduled and executed with delay and in a loop. This becomes particularly useful when a particular task needs access to the internet for example. Java based application so it ensures platform independence. It is a light application, doesn’t even need an installation, minimizes into the system tray and operates in the background. With respect to size and simplicity, Solway’s task Scheduler is pretty effective. The use of other maintenance backup software helps with its functionality. It is a small program with a download size of about 115 Kb and thus is quite light on the machine while it runs in the background. It helps running batch files, play music files, open other programs at pre-defined set times. It minimizes to the system tray and runs in the background. 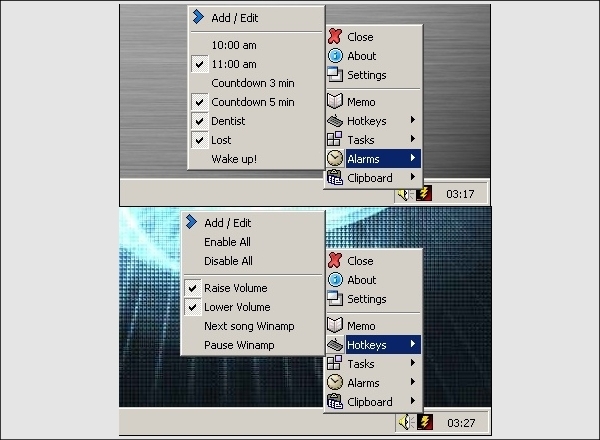 SwizzTool is a freeware designed for task scheduling in Windows. It has a compact interface with the essential requisites for scheduling. It has a simple and compact interface which lets you set the timing for your various programs with ease. It only lists a specific list of essential tasks and thereby does not confuse the user with multiple options and functions. You can add files or programs to open at pre-set times and also schedule alarms etc. 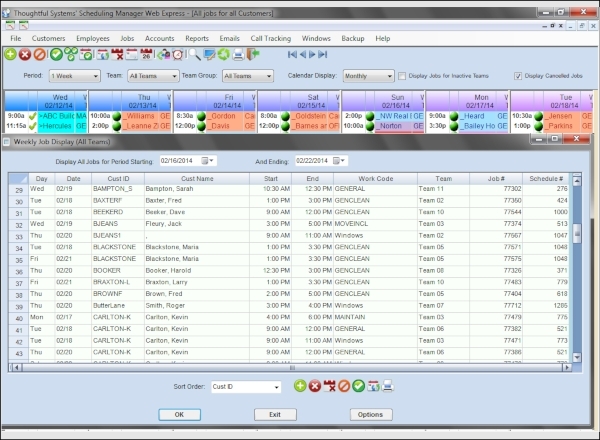 For smart, simple scheduling needs Schedule Manager seems to be quite a viable option in the present market. Its simple interface helps you to add, delete and edit tasks with ease. The software provides you with a list of default actions for your utility which you can stop as well and you can also assign specific sounds as triggers to certain tasks or alarms. It affords a great deal of flexibility; letting you schedule tasks at hourly, daily or weekly basis. TimeCom X is great choice for your task scheduling needs. It is simple, effective and comes with the right amount of extra features. It is a pretty good scheduler and can do tasks like running or opening files, shutdown or reboot our system at a particular specified point and can also be run from a USB drive. It takes into account things like processor usage before scheduling new tasks. It has a profile based interface and for multiple tasks multiple profiles need to be created. These Task scheduler software are the best available in the market at present. Not only do they serve all your scheduling needs but they also offer an array of related services.